(AICGS Analysis, by Tom O’Donnell) Since Russia’s president, Vladimir Putin, decided to annex Crimea and back east Ukrainian separatists with troops, many have worried he might use his “energy weapon” to counter U.S.-EU sanctions, as Russia supplies around a third of the EU’s natural gas imports. 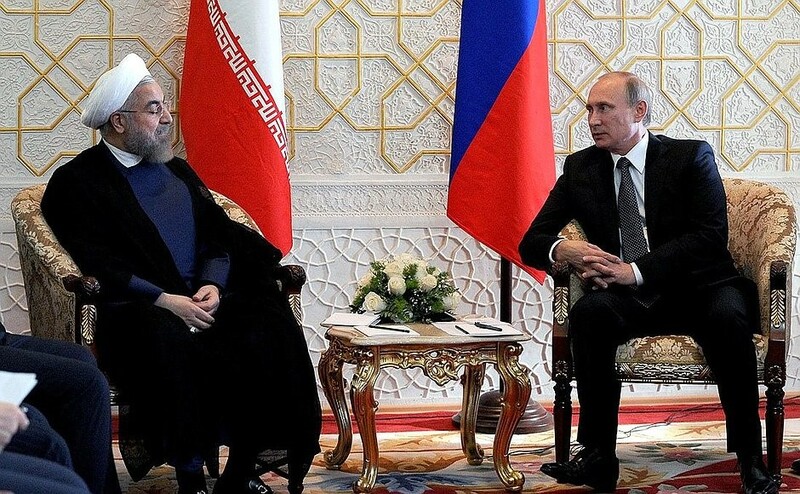 But what about Russian retaliation in the oil sector? That’s hard to imagine. While gas is marketed in bi-lateral, pipeline-mediated relationships, oil is not. It’s liquid, fungible, and marketed in a unified open market—“the global barrel” [and name of this blog, T.O’D. ]—which means there are no bi-lateral oil dependencies. 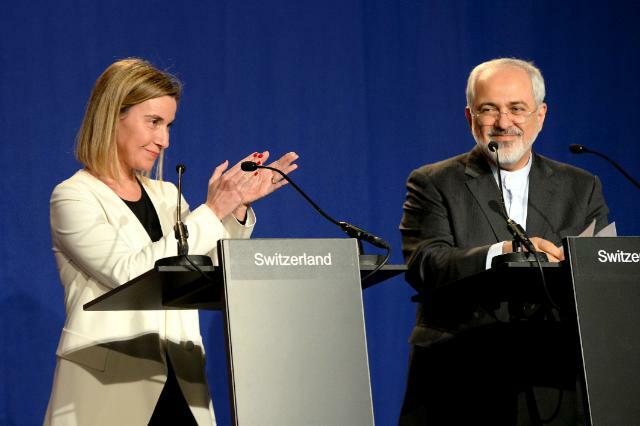 On April 3, the High Representative of the European Union for Foreign Affairs, Federica Mogherini, together with Iran’s Foreign Minister Mohammad Javad Zarif announced a framework agreement significantly limiting Iran’s future nuclear program. 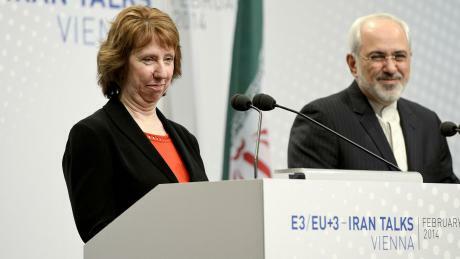 (Continued from Monday, 13 Feb 2012) The last time the Obama Administration wanted new sanctions on Iran, in 2010, Beijing started out loudly opposed, threatening to block the sanctions at the U.N., something Beijing had never before seriously threatened. 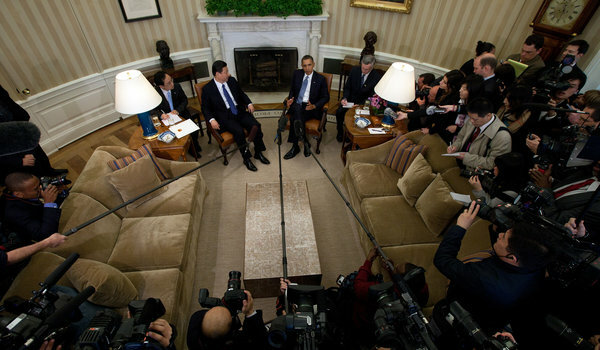 President Obama thanked Vice Premier Xi for China's support on Iran oil sanctions. NYT photo by Doug Mills, 14Feb12.